Any creative process starts with observing. That’s precisely what Sa Yong Kim, chef and owner of Korean restaurant Bibimbab Cafe did. It’s how he drew his own conclusions about the essence of Korean food. And how he made decisions as to how he presents and introduces Korean cuisine to people from all over the world. It’s a heavy load to carry, but Mr. Kim sees it as his duty, and one he enjoys carrying every single day. They arrive in groups via buses, in families via the tube, they might stroll by after a visit to the markets at Covent Garden. They may aim for the Rosetta Stone only, or focus on the Asia section. Perhaps they’re intent on staying the whole day. But one thing is for sure: there are many. On average more than six million visitors flock to London’s British Museum each year. It’s the nation’s most visited. During the peak season in the summer, more than 30,000 people may visit in one day. Come lunch time, that’s a lot of hungry people. 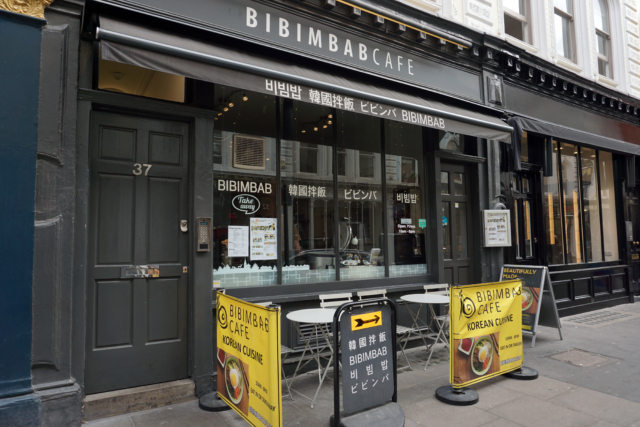 Enter Bibimbab Cafe, a casual Korean restaurant in prime location just opposite the museum’s main entrance on Museum Street. It gets lost in the background of the black street façade, save for two bright yellow signs drawing attention. The multi-language writing on the glass windows awake curiosity. Is it a Chinese restaurant? Japanese? But the final push to step inside is the smell of gochujang and doenjang (chilli and bean paste), of freshly made rice and crackling spicy pork. Mr. Kim has been living in London for 15 years. He calls London home and the only thing he misses in Korea is being around his family and close friends. Much like any creative and entrepreneurial profession, becoming a Korean restaurant owner and chef in London was hardly a linear process. “At the beginning, I worked at Wasabi as a driver. That time Wasabi had only three shops. I didn’t make the food and I didn’t know how to, I only ate Korean food. I was just the driver.” He received a work permit from Wasabi and a permanent visa to stay in the UK. Observing turned out to be key to his later success. He became a sous chef at YO! Sushi, learnt how to slice fish, then worked at Bibigo for a year while also making and selling his own food at a Shepherds Bush street market. It was during his short time working at a Korean-Japanese restaurant in Egham that the owner of Bibimbab Cafe contacted him. He offered to step aside and hand over the rails. Mr. Kim accepted. I look around and my eyes keep falling back on the menu. I point at the labels in the corner reading ‘spicy’ and ‘vegetarian.’ Some dishes listed jump out on the page: green for vegetable bibimbab, red for jaeyuk deopbab (spicy pork over rice). When Mr. Kim took over the restaurant, he kept the system in place and for one year continued doing what had brought him this far: he observed. “I watched how many people come, when the season is busy, what dishes they prefer.” Then he started changing things around. But in subtle ways. Despite all the travellers, regular customers have been increasing. 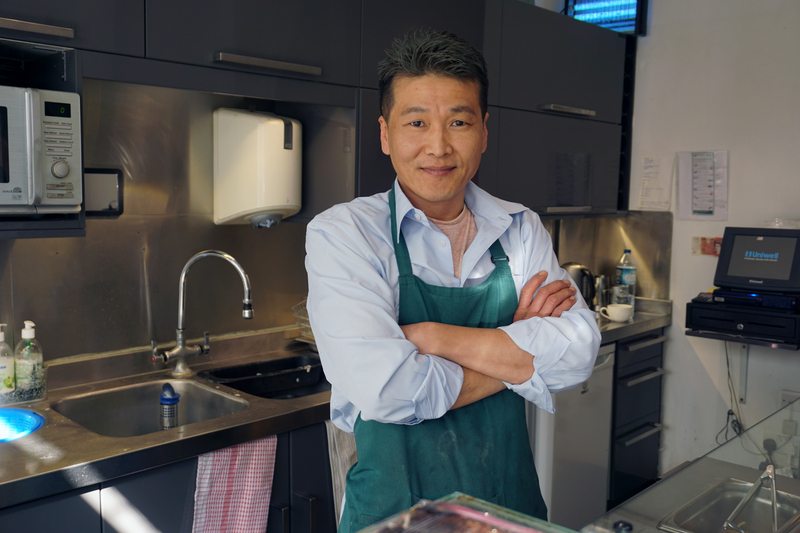 Mr. Kim has been making changes to adapt to what his customers can eat. But he has kept what he believes to be the essence of Korean food: time, and lots of it. I make a note to self. Making Korean food is a good way to develop patience. It’s a good way to become creative too. Even the point at which we decide to halt the fermenting process plays a role in determining the taste. For many dishes even, a minimum amount of time is crucial. “Korean food takes time. We can’t cut off this time, because if we do it’s not kimchi anymore, it’s no longer Korean food.” Kimchi and bibimbab may be famous Korean dishes, but time is most central to Korean cuisine. It’s not just about taking the time to prepare the food, but also taking the time to enjoy it. In Korea, people socialise around food and drink, they take the time to mix the bibimbab, grill the meat at the table, leave nothing to waste by frying rice with leftover meat. Koreans work hard and play hard. There’s nothing rushed about having a meal with family, friends, or colleagues. This is part of a series on the challenges and innovations for Korean restaurants abroad. If you’d like to read more, find out why Rang Lee at Soban in Germany doesn’t believe that authenticity exists, or why the Korean sisters behind Arirang in Stockholm are not interested in carrying the Korean flag. 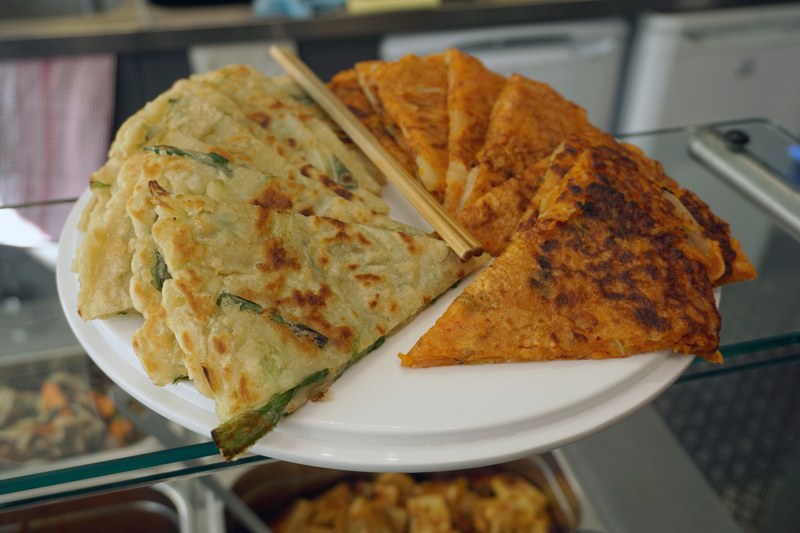 Read about how Valencian and Korean food are similar, and why Koreans want to eat Korean food no matter which country they visit.